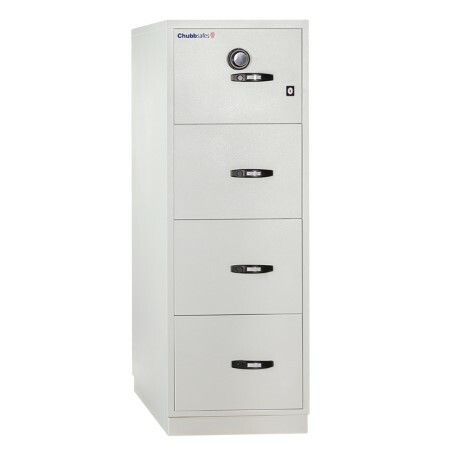 Reinforce your disaster recovery plan for the documents filed in your office: Ultra Fire File 31" from Chubbsafes is a range of certified filing cabinets providing fire protection for up to one or two hours. Your important files are the foundation of your business but they also take up a lot of office space and are extremely vulnerable to fire. 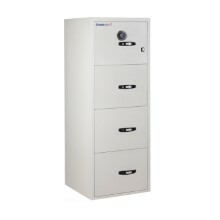 You need a low-weight, high-capacity storage solution that can hold your most important documents while also protecting them from destruction. 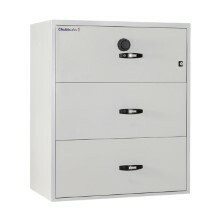 Ultra Fire File 31" from Chubbsafes offers fire protection certified by Underwriter's Laboratories (UL), a leading certification company. 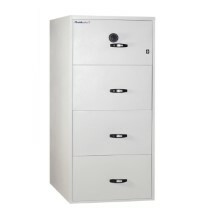 The cabinet's interlocking system prevents more than one drawer from opening at once and eliminates risk of tipping, ensuring your personal safety at all times.